Guide Price 70,000 - 75,000. Benefits From A Recentlty Extended Lease Now 150 Years, Along With Having No Onward Chain Involved! Offered to the market is this superb one bedroom ground floor apartment with garden and off street parking for two cars. 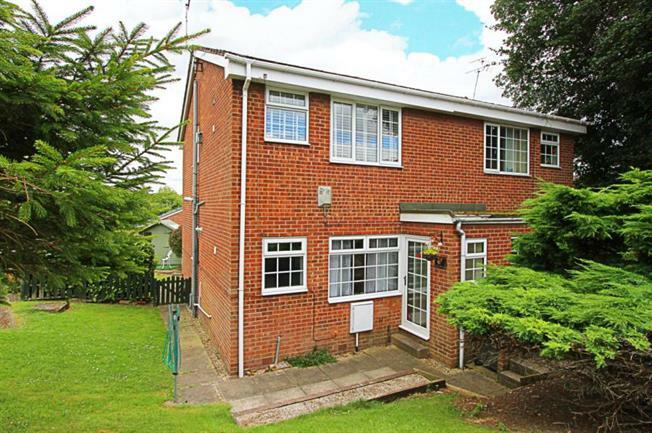 The property boasts uPVC double glazing and Gas Central Heating and is immaculately presented throughout. In brief the accommodation comprises an entrance porch accessing to the living room, modern fitted kitchen with roll top work surfaces and tiled splash backs. Generous double bedroom and modern fitted bathroom. The apartment has allocated off street parking and a lawned garden to the front. The property will appeal to both the investor and private purchaser alike and we offer the apartment for sale with no onward chain.